At the height of the Renaissance, the Mediterranean was alive with trading galleys exchanging prized goods between Europe, Africa and the Far East. Vessels from the Baltic Sea brought lumber, wool, iron, and hemp to the Mediterranean while ships from the Black Sea delivered silk and spices from the Far East. At the centre of it all was the port city of Venice, the "Queen of the Adriatic," where merchant families earned fortunes from the trade. As the head of a Venetian merchant family, you begin the game with a few ships carrying trade goods. Using the trade income from these ships, you sponsor local businesses that manufacture raw goods into valuable luxury goods and sell them to local Aristocraticci for wealth and favore. Compete against other families for raw goods and prime Venetian real estate. Do you place your new draper business in the draper quarter where it will be more profitable or beside the Campo with the beautiful statue where it will earn your family more prestige? View the Rules to The Patrons of Venice. 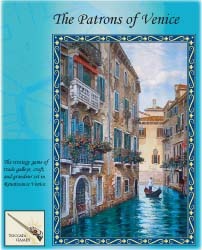 View Pictures of The Patrons of Venice on BoardGameGeek.com. Welcome to the Garden Competition where you are a neighbourhood student hoping to win this year's garden competition. 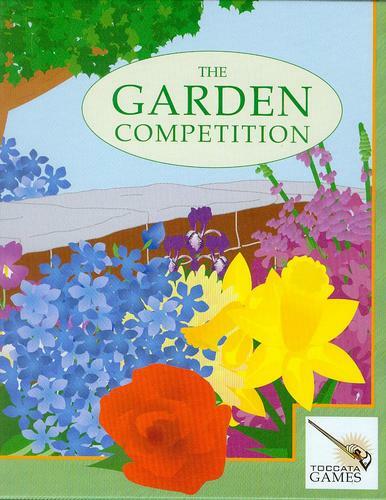 Compete against the other players for limited flowers at the nursery and the favour of your neighbours who will give out clippings of their flowers to their favourite students. Each player knows some of the flowers and colours the garden judge is looking for, but no player knows all of the flowers and colours the judge is looking for. Players try to guess the parts they don't know by keeping an eye on what the other players are planting. The judge also has some secret criteria that only she knows, which players can learn about by taking her out for coffee. 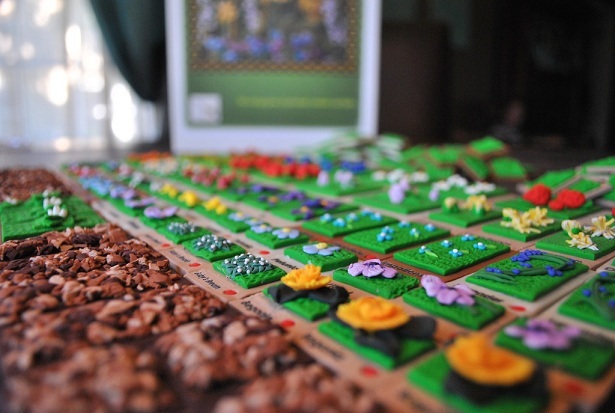 View the Rules to Garden Competition. View Pictures of Garden Competition.